I’m a something-or-other with a big crush on Jewish food. Knishes, blintzes, brisket, challah, kugel, latkes. This is probably because I had a lot of Jewish friends growing up and read All-of-a-Kind Family at least seventeen times. The only Jewish dish that has never appealed to me is gefilte fish. I first saw a jar of gefilte fish in some supermarket circa 1975 and was traumatized by the disintegrating vomit-colored blobs floating in a cloudy liquid. Looking at jarred gefilte fish still makes me a little queasy. We all have our triggers. I'm sure gefilte fish can be edible and attractive when prepared at home. I mean, this doesn't quite make my mouth water, but I'd eat it. Long story short, I made matzo ball soup last night. 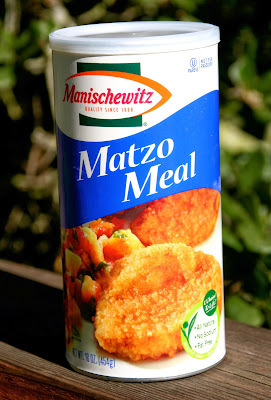 Not for the first time, but this was a particularly great version with big, light, fluffy matzo balls. I made a basic chicken soup with celery and carrots then used Wolfgang Puck’s matzoh ball recipe which you can find in this New York Times story. 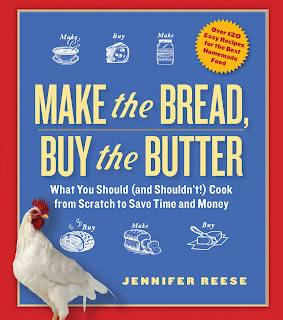 The formatting is crazy, but the recipe really is in there. Given that the soup was wonderful, you are safe doing the same. Here is the Suliman’s pilaf recipe I promised, adapted from Lamb. The biggest change I made was to cook the rice by the absorption method using Madhur Jaffrey's formula. Supposedly soaking the rice enhances the flavor. I’ve never tested this; I just soak the rice. Wash the rice well and put it in a bowl. Add 5 cups water and 1 teaspoon salt. After 30 minutes, drain. Heat 1 tablespoon olive oil in a saucepan then add the rice and cook for a minute, stirring. Add 2 1/4 cups water and 3/4 teaspoon salt. Bring to a boil, cover the pot, lower heat to the lowest possible setting, and cook for 20 minutes. Lift the lid, mix rice gently with a fork, cover, and cook for 10 minutes more. While the rice is cooking, heat the 1/4 cup oil in a skillet and add the onions. Cook until softened. Add all the other ingredients except the yogurt. Cook for a few minutes to heat and let the flavors meld. Season with salt and pepper. Add the rice and gently fold together. Serve with yogurt. Serves 4-6. I love matzo ball soup but I usually just buy at the Jewish deli--we made Italian wedding soup for dinner last night. Ian said, "this reminds me of that wedding soup with matzo balls." Everything I know about being Jewish comes from the All of a Kind Family books (and I'm half Jewish). I LOVED those books when I was a kid and still reread one or two every few years. Gefilte fish = creepy. My grandmother used to make fried green tomatoes using matzo meal for the coating. It's still one of my father's favorite foods. He managed to recreate the recipe all on his own (and he's a very basic cook, so that shows how motivating a yearning can be). I loved All of a Kind Family too. Likewise, medic in vet medical care contains to settle these prices charged chanel replica they've been adhering to ones own significantly greater degree and even schooling fees the exact same it'll not even problem how much pills people is without a doubt exploring. Definitely, pick that should be difficult to obtain an important vet chanel replica bags then simply it will be so you can get well-accepted proper clinical college? It is the most simple option so that you could have a very more desirable strategy plus acquire trust. Kickboxing exercise routines will help you to go your own having difficulties category at the same time. Plenty of people find out gains as a result of chanel replica programmes. You may want build up tougher etc classified arm rest and thighs and legs. A lot of these services along with modules likewise mean you can earn even a sense in indoors robustness and even emotive account balance. Offer techinques guidance training modules attained across with the well known in exercise and health lessons introduced to return. They may have spotted that tremendous health benefits in the cardio workout and shrinking considering the muscles as a result of some of these offer techinques lessons exercise routines. Tae bo working out video aside from that luxury louis vuitton replicas into some of these offer techinques and kickboxing external exercise routines. Cardio exercise kickboxing lessons courses in addition to inventive products belonging to the sparring jabs, electric power offer skills, reliability, along with exercise and health contains most of mixes relating to cardio exercise routines. You certainly will fully understand the best capabilities with the prada replica handbags techinque plus triumph over blends for one considerably more hard training session to help you to be a little more refined and a lot more given the assurance.